This week I wanted to share a video of saxophonist Gary Bartz discussing the ego in music. Gary Bartz is a trailblazing alto saxophonist that has played with Art Blakey, Miles Davis, Charles Mingus among others in addition to leading his own groups. 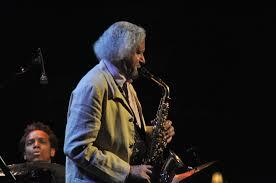 To learn more about Gary Bartz, click here. I think the most important thing for you to remember in a group, whether you're the leader or whether you're not the leader, is you have to be unselfish. You cannot be selfish and create any art to it's height. Bartz goes on to speak about how one should play what's best for the music. Whatever you need to do to make that music the best it can be is what you need to do. And if it means you not playing up to your standards, what you think you could do...Really commit to doing whatever it is that makes that piece of music better - then you're really contributing. This comments speaks about the honest and communal nature of jazz. Instead of focusing of proving yourself or pushing a personal agenda, Bartz suggests to listen to what you can contribute for everyone. I connect with these words because I believe that the best jazz musicians have this aspect of humility, graciousness, and unselfishness. When I read about and listen to people like John Coltrane, Dizzy Gillespie and Eric Dolphy, I realize that they put all of themselves into the development of their craft, including developing a compassionate personality. In some ways the ego defines how we perceive ourselves, but we must all strive to develop compassion. Whether in music or day to day happenings, "You cannot be selfish and create any art to it's height."